Their family was on board with the plan. 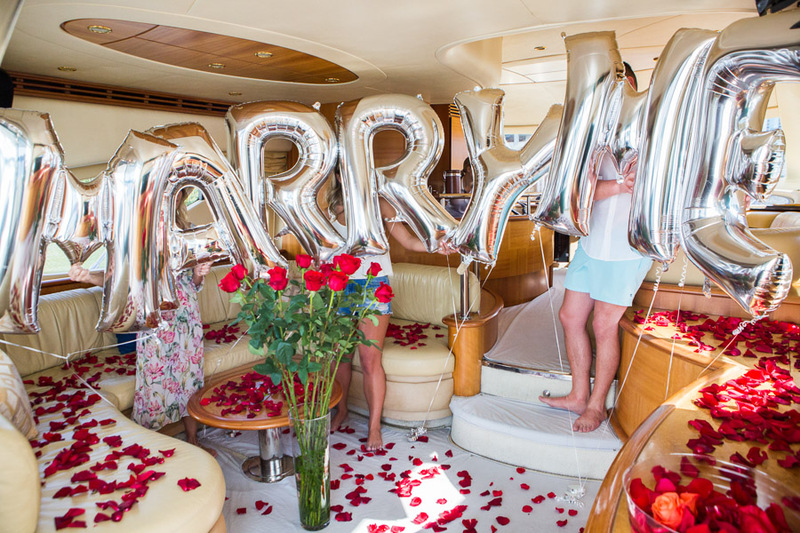 They helped decorate the yacht beforehand with balloons that spelled out Marry Me and red rose petals scattered throughout the interior. Everyone was anxiously holding their breath and wondering aloud, were they coming? Finally, the soon-to-be-engaged couple and some of the other family members began making their way toward the boat. She stepped inside and immediately her jaw dropped. It was an emotional scene, some people tearing up and others cheering with excitement. So glad I was able to document their special moment for them. 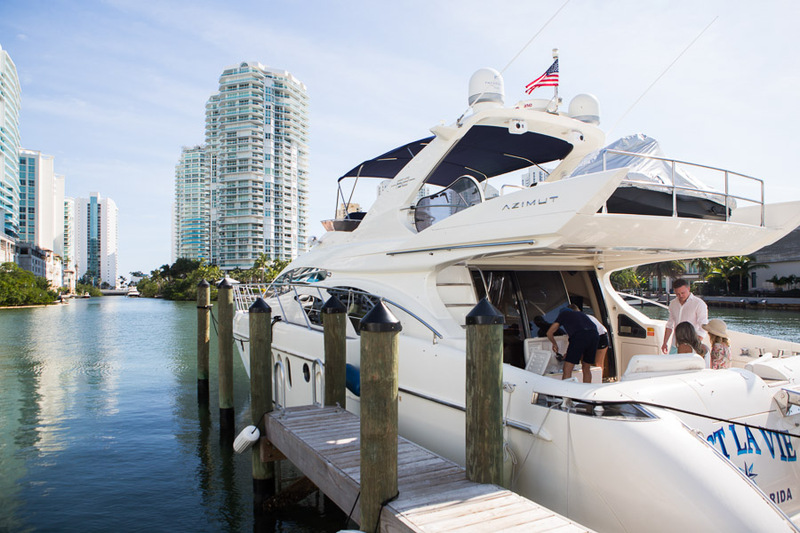 This Miami Yacht Surprise Proposal Photography Session took place at the Marina and Yacht Club in Sunny Isles, Florida. You can see other surprise proposals on the blog and all the couple photography sessions here. 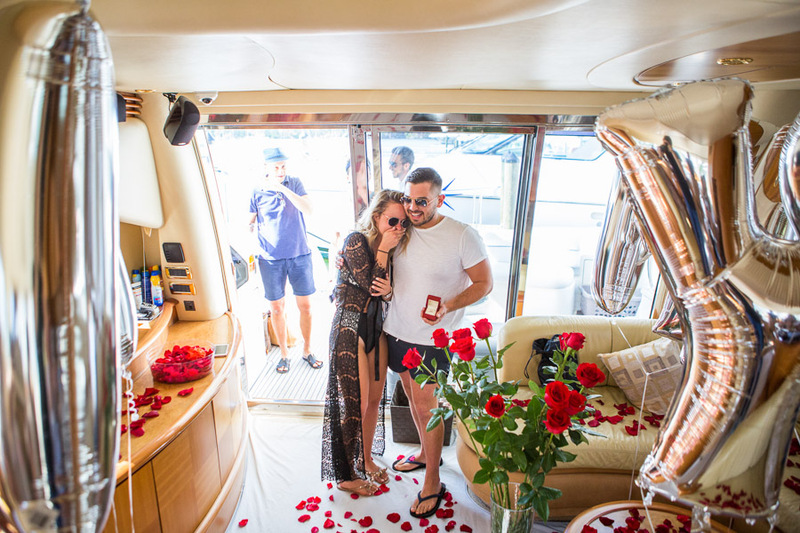 Contact me to schedule your surprise Miami proposal! 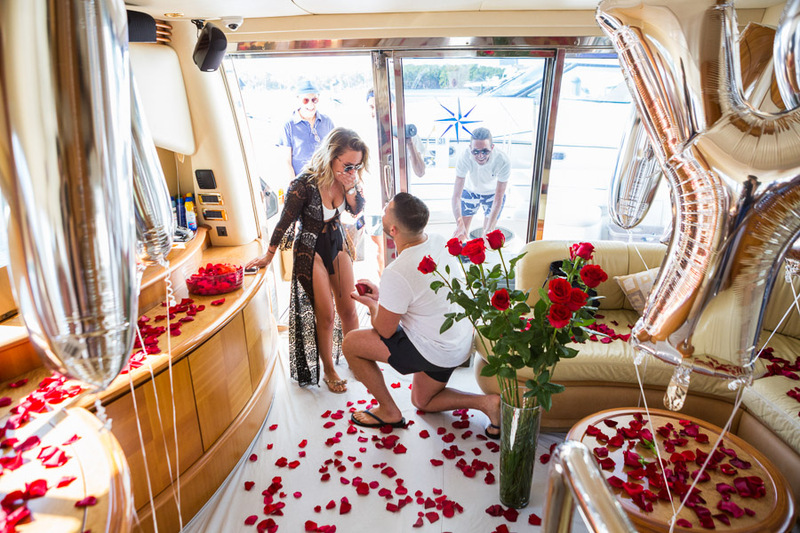 This entry was posted in Surprise Proposals and tagged Couples, engagement, miami boat proposal, miami proposal photographer, miami surprise proposal, miami yacht proposal, proposal, surprise proposals on August 10, 2018 by Tova Photography.